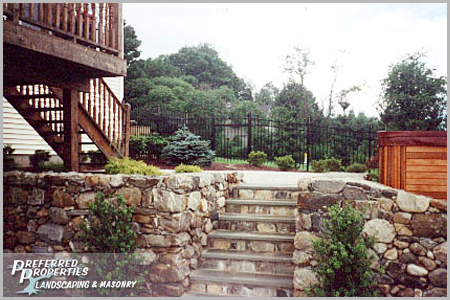 "The building of a walkway..." Click Here. 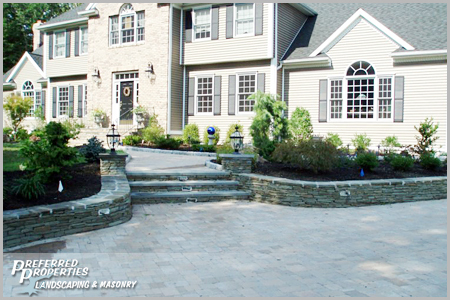 Let Preferred Properties Landscaping put the finishing touches on your front entry. 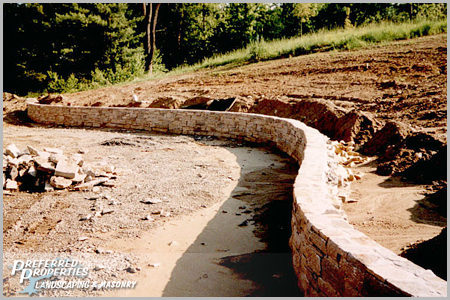 Preferred's staff can transform, redo or create walks and stairs out of many available materials. 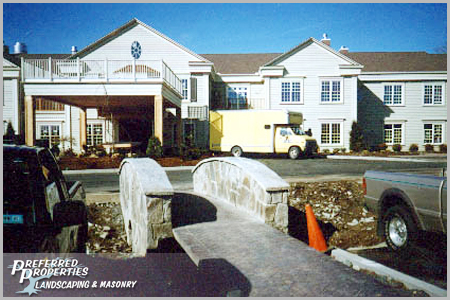 From formal entrances to meandering walks, Preferred’s designers know how to welcome you home. 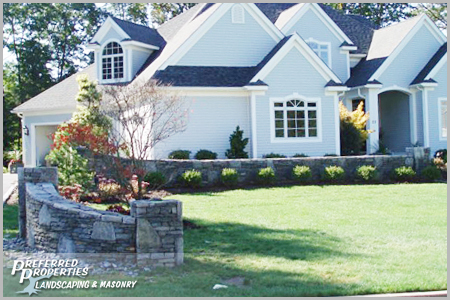 The curb appeal the front entry gives off is value driven. 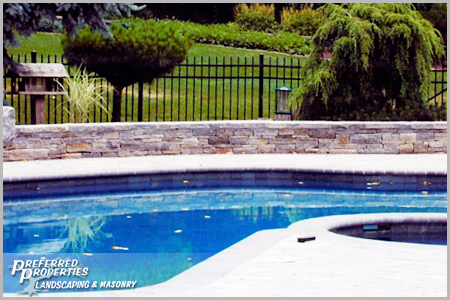 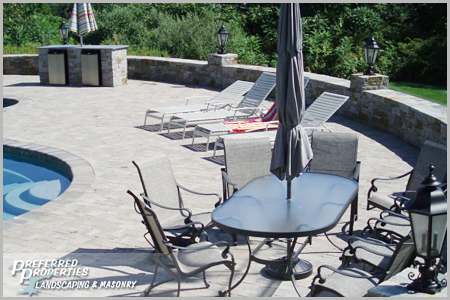 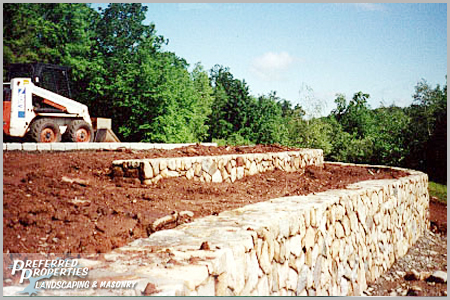 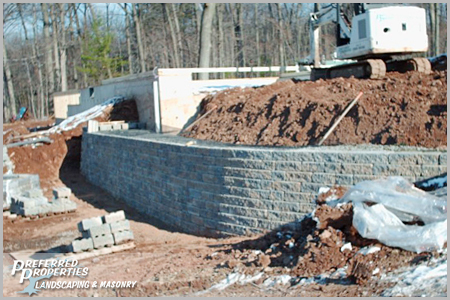 Whether it's granite, bluestone, limestone, natural or brick pavers, Preferred's staff can build it. 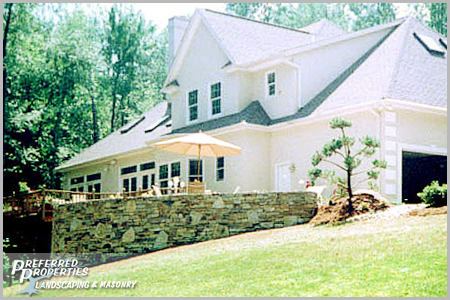 From side entry walls, to a future portico, front step widening or anything on your to do list, Preferred does it all . 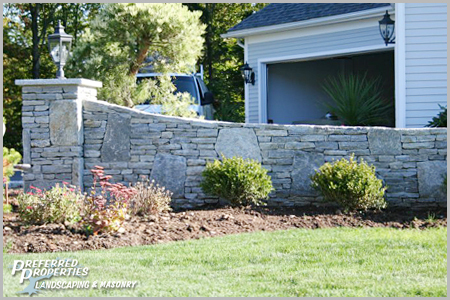 Talk to a Preferred designer first for great ideas and money saving tips. 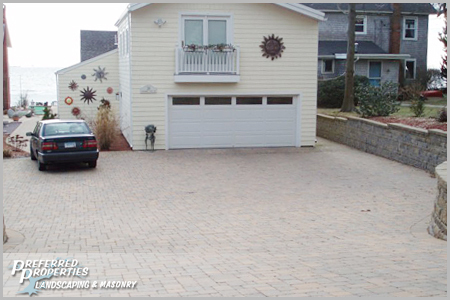 A lot of times you may not consider redoing the front walk perhaps because you don't have to use it if you enter your home through the garage. 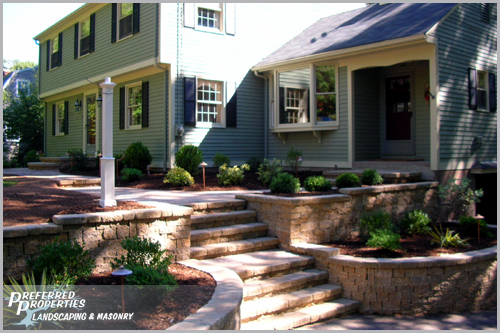 When your front entrance looks its best, you may use it more often. 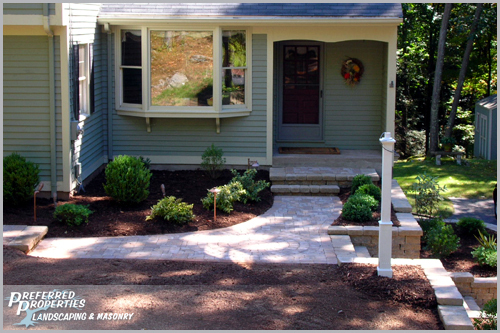 Redoing the front entry and walk? 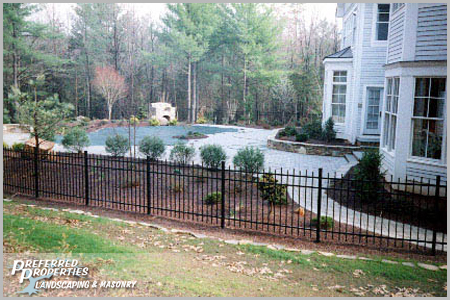 First of all, you should not be redoing it because it wasn't built right the first time. 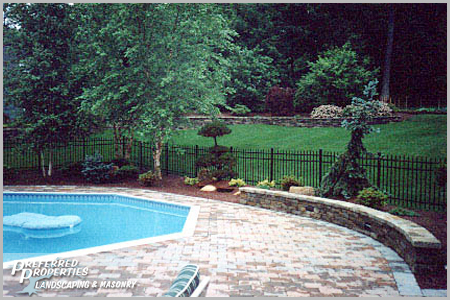 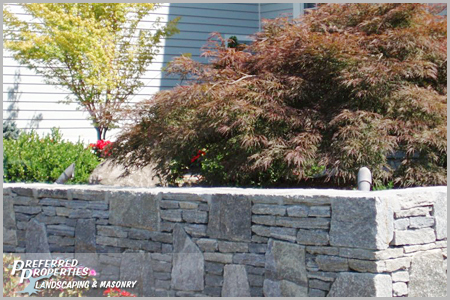 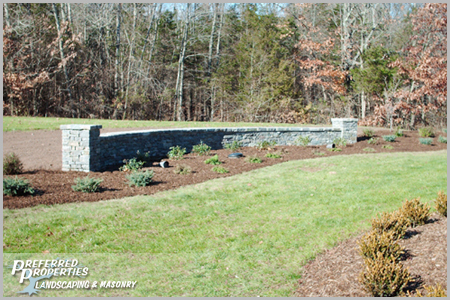 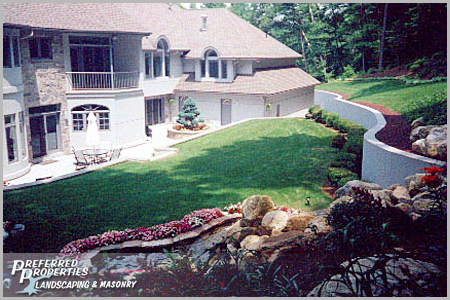 Preferred Properties Landscaping jobs go through stringent masonry techniques which utilize the highest standards, ensuring total satisfaction, and our work is backed by a five-year masonry guarantee. 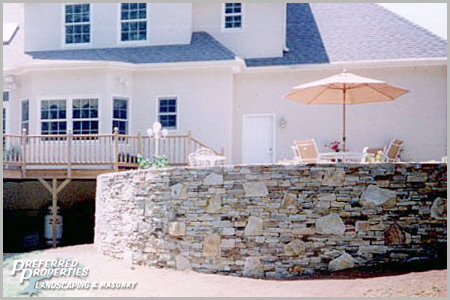 Thinking about replacing those prefab steps? 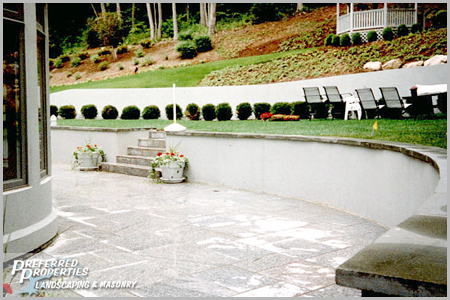 Concrete steps are a thing of the past and typically one of the last things thought of when the house was built. 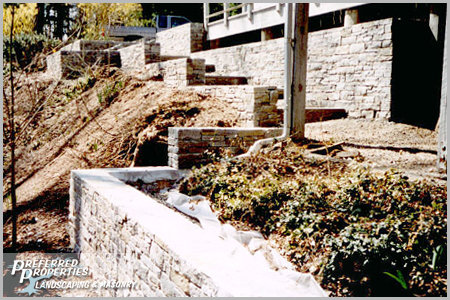 Pre-cast stairs are often found resting half way on concrete nails and leveled with bricks in front, causing concrete steps to quickly become obsolete. 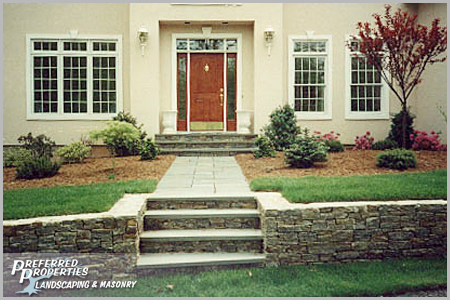 Professionally crafted stone or brick work on a front entry adds beauty, warmth and value to the home. 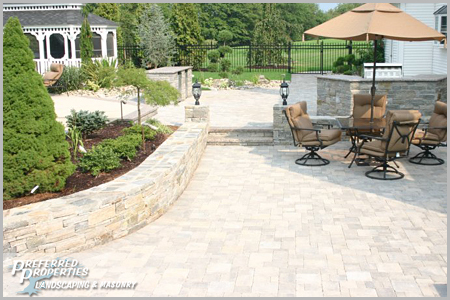 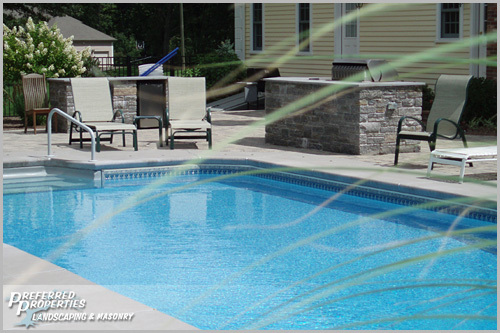 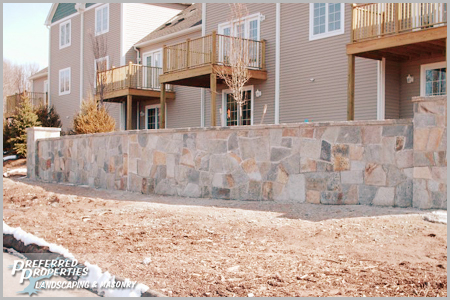 Hardscape selections are carefully selected to complement the home and surrounding environment. 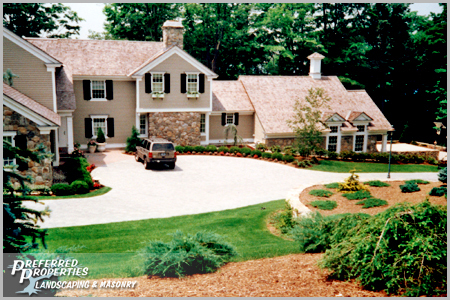 Contact us today and talk to one of Preferred's professional designers and you will see why people prefer to build with Preferred's staff; you'll love it! 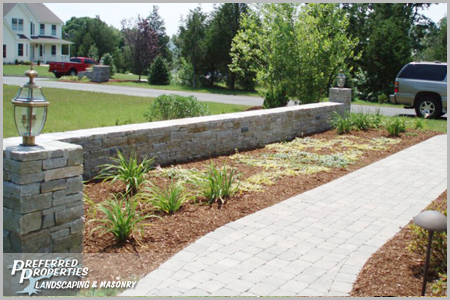 Preferred Properties Landscaping has been involved in some very interesting and diverse landscape projects which require HARDSCAPES. 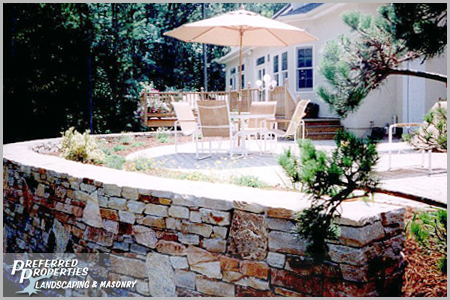 Working with stone, brick and granite has been Preferred's forte.